Beautiful work from an amazing artisan. You’re awesome, Janean. Thank you Mark, so very sweet of you to say. your presentation but I too find this matter to be actually something whiuch I feel I’d by no means understand. It’s not overly complicated. There are two sheds to these weaves. 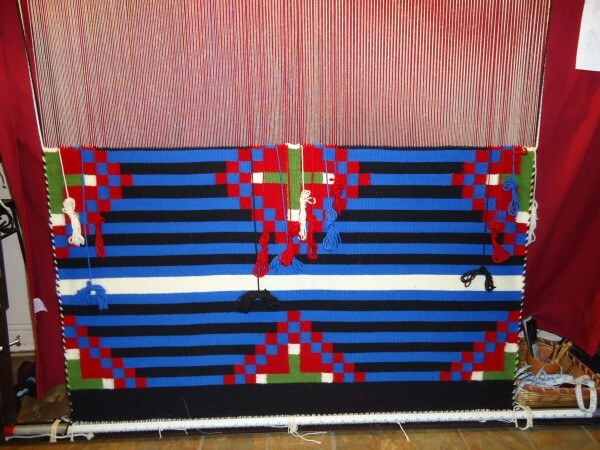 Half the strings are brought forward and the other half are pushed behind and the design yarn is taken across, then the strings that were brought forward before are pushed behind and the ones that were pushed behind are brought forward, then the design yarn is taken across the opposite way. The changes in design are made by changing colors where one element ends and the other begins. I will have a more detailed blog post in the near future. The yarn is packed down so that only the design yarn shows. It’s what’s called a Weft faced weave. Hi Maria, thank you for your kind words. I have never used a mechanical floor loom before. I built the looms that I have and they simply hold my warp yarn very tight so I can weave with them. The rugs and weavings that you see are called a weft-faced weave, and you can only see the weft yarn. You’re more likely to weave a balanced weave, where both the warp and weft show in the finished product. A great source of information from all over the world can be found at and . They both are sites that have forums where weavers and fiber artists from all over help each other. You can learn a lot just from reading the older forums and generally whenever you have a question, they get answered quickly. I’m experienced with warp faced-weave and weft-faced weave structures and would be happy to answer any questions you might have with those. 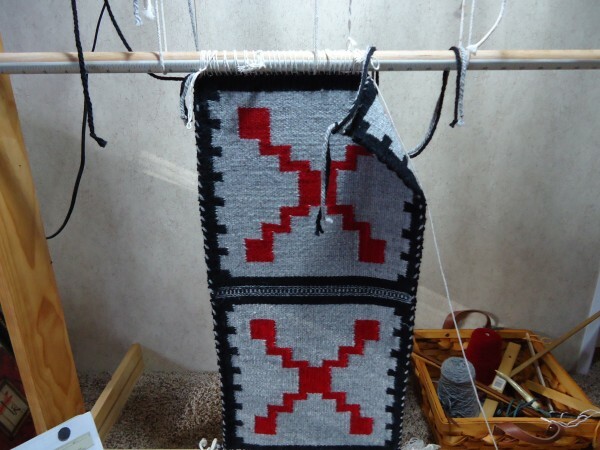 Peggy Osterkamp has a book called, “Weaving For Beginners – An Illustrated Guide” that may be worth checking out. She is available through email as well, and was very polite and helpful answering my silly questions when I contacted her. Maria, I placed three links in my initial response to you, but they don’t show up on my page, so I will try again. The forums are Weavolution.com and weavingtoday.com/forums/. The book can be found at peggyosterkamp.com/weaving-books-dvd/ Hope this helps. Thank you for your kind words. I’m developing it on my own with WordPress and the theme is called Responsive, and is free. This is my first website and I have spent countless hours working on it and learning the new skills. Thankfully, WordPress does much of the work and provides a workable interface. to your feed and I’m hoping you write once more very soon! Thank you for your kind words. I publish a fresh blog every Tuesday. Do be sure to subscribe, and scroll back through the archives. Thank you Janean! You help me so much! Your designs and videos and answers and informations…everything! 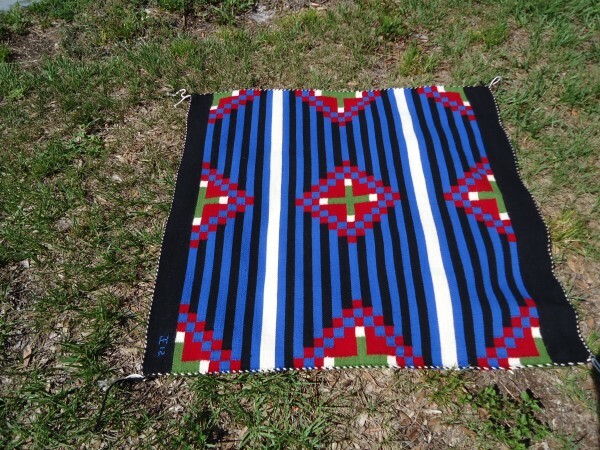 Beautiful and an inspiration for a fellow Navajo style weaver. Thank you Chris. 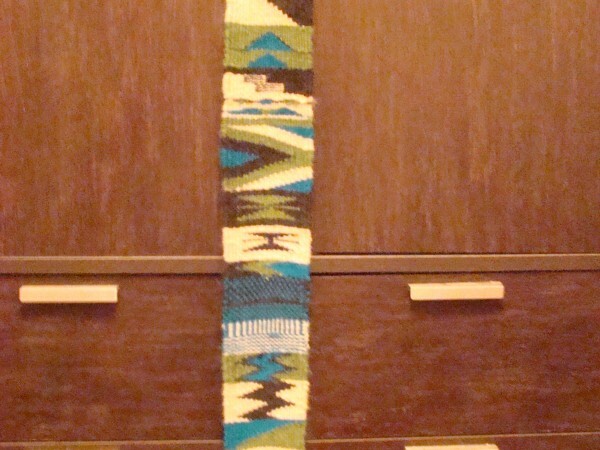 I just finished a weaving and it’s on my web log. The post can be found at: You can subscribe to my blog as well with your email address. I don’t use the email addresses for anything other than web log notifications. I would love to see your work as well. Hi Chris, evidently I can’t post a hyperlink on my own website. It’s easier to just spell it out than fish through the settings. The post can be found at “my website dot com” /off-the-loom/. Hi, my name is Jenna. I’m trying to learn to leave on a basic loom. I’ve completed the warp, but I’m not sure my heddle rods are between the correct strings. I don’t have an open weft once they’re both together. Could you help me? 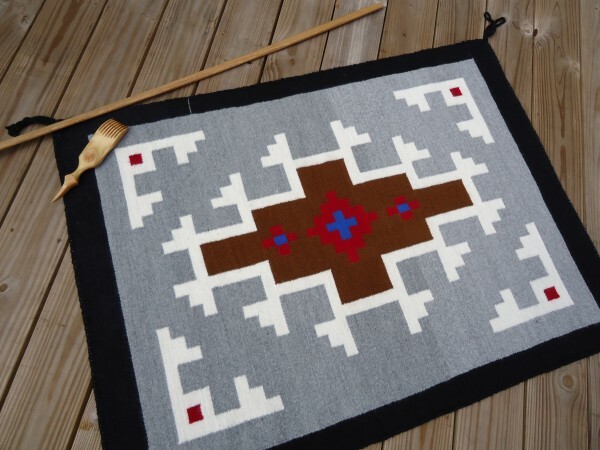 Are you learning Navajo style weaving? I know several types of warp faced and weft faced weaving, but I haven’t done any balanced or twill weaving. If you have two sheds, then every other warp will go over the top heddle rod. The other half of the warps will lay over the bottom heddle rod. 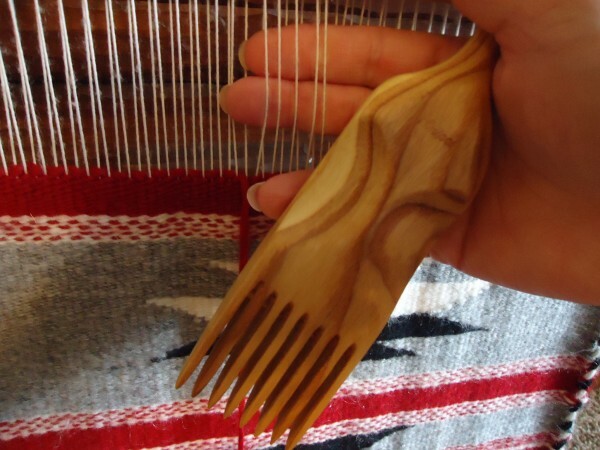 You will take the warps going over the bottom heddle rod and make sting heddles (there’s number of ways to do this) going around each of these – then take the bottom heddle rod out. So you will have a “stick” shed and a “string” or “pull” shed. Placing the batten in the natural separation that’s made by the stick is your stick shed, then alternately you will pull the string heddles, pulling the other half of the warps forward creating your pull or string shed. You will pass your weft between these two sheds alternately. You really need a good book to follow, like “Navajo Weaving Way, the path from fleece to rug by Noel Bennett and Tiana Bighorse. 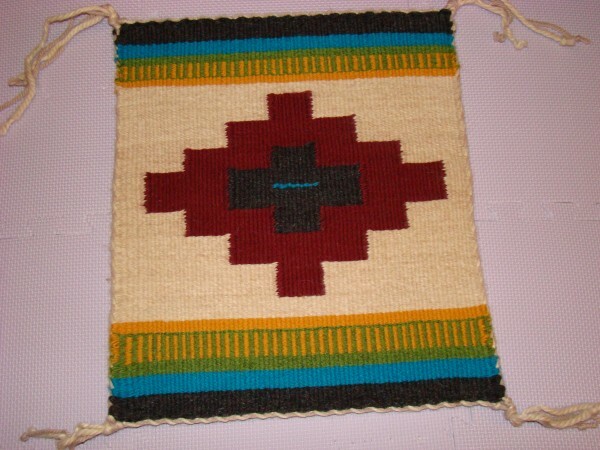 If in fact it’s Navajo style weaving you’re aiming for. There are other good books and a video you can buy from the YarnBarn of Kansas that can help. 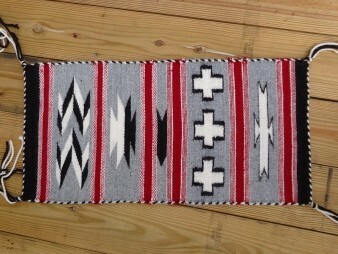 What sett should I use for a Navajo style rug? 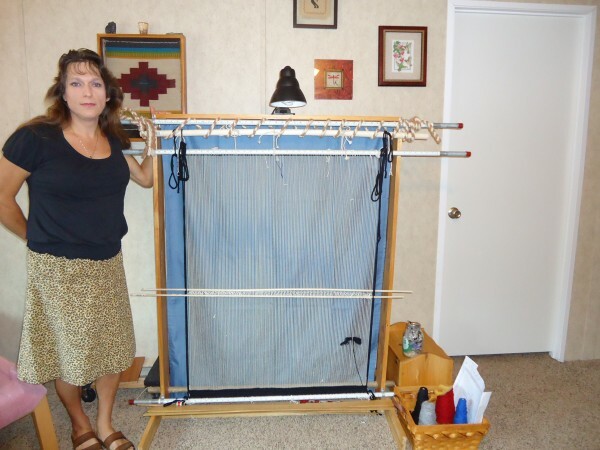 I have 2 ply wool rug warp, and will use Navajo Churro singles for the weft, on a 4 harness Jack loom. I just found you in my early morning meanderings on the web as I drink my first (and only) cup of coffee. 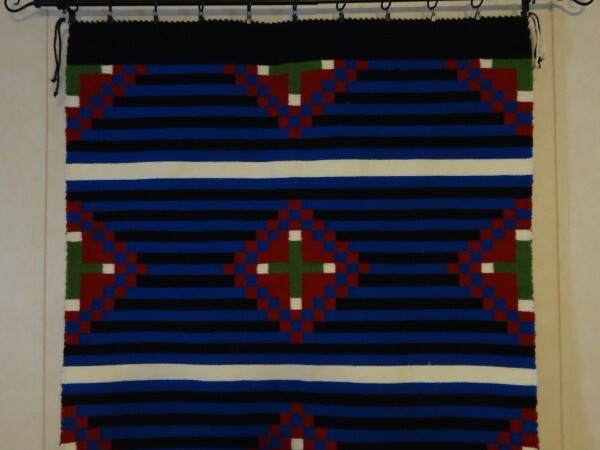 I felt such peace watching you do the weft interlock and I love the Navajo weaving you do. An inspiration. I’m a rather new tapestry weaver, using a Mirix loom. I am going to watch that video over and over and try to learn the technique. Thanks for the presentation and the peace on a late November morning. Thank you for your kind words. I’m glad you like the video. I intend to post more videos, but I am deep in studies and have little time for it until Summer. Nancy Harvey has two rather old videos on tapestry weaving that are on DVD. They are helpful as a visual reference and training tool. They are Tapestry Weaving I and II, and The Yarn Barn of Kansas carries them. 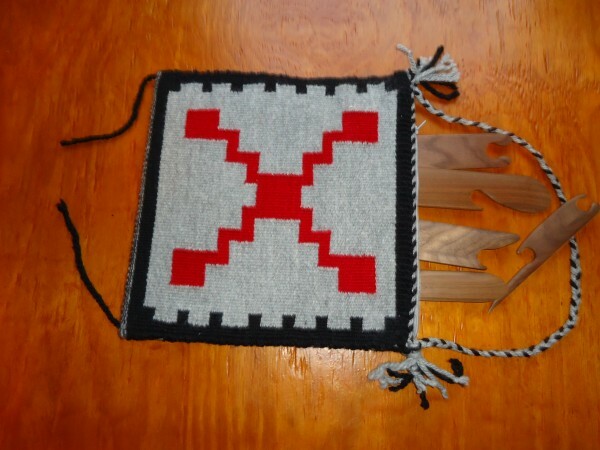 Nancy Harvey has also written a great book, which focuses on a lot of important tapestry weaving techniques. Her book, Tapestry Weaving A Comprehensive Study Guide is a great resource especially when you are sitting in front of your loom. I have the hardcover and I love it. I still use it quite a bit. Good luck and keep me posted.